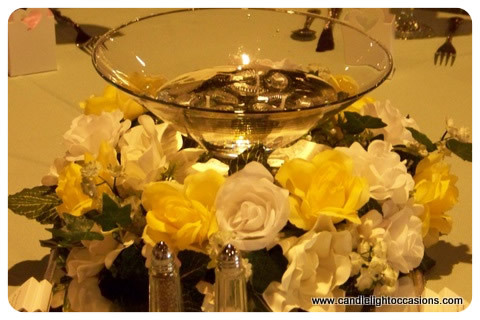 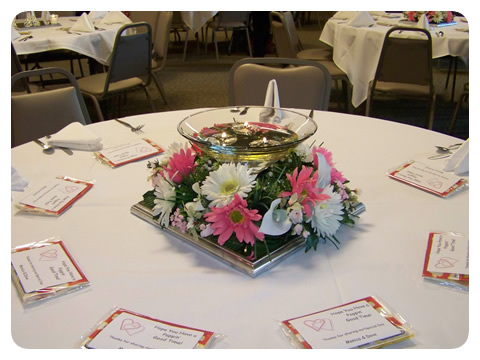 Table centerpieces welcome your guests and set the mood for your celebration. 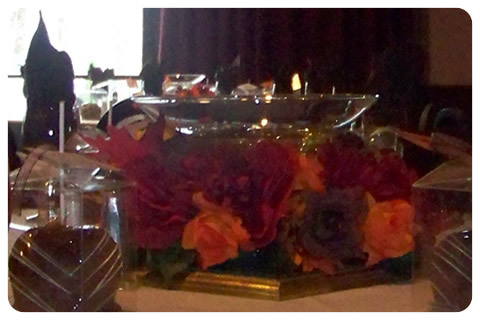 Our table decor includes shimmering crystal, warm candlelight, and beautiful customized silk florals. 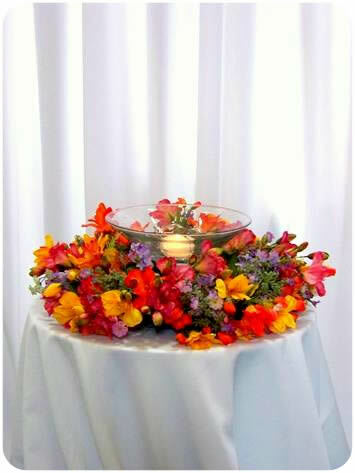 To make your selection process easier, pricing is for the complete centerpiece, mirror, glassware, candles, and flowers. 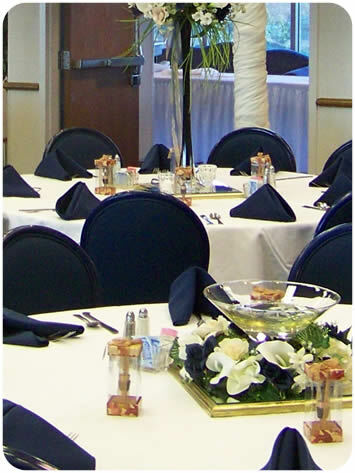 No surprises, just a beautiful and affordable compliment to your hall.